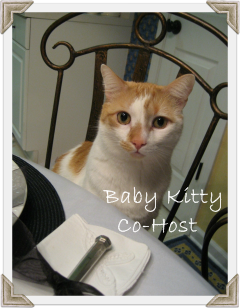 CONFESSIONS OF A PLATE ADDICT: Metamorphosis Monday...or...A Guest Makeover with Kathysue! Metamorphosis Monday...or...A Guest Makeover with Kathysue! 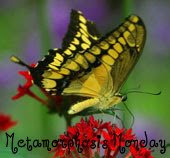 Welcome to Metamorphosis Monday, hosted by our fabulous hostess with the mostest, Susan at Between Naps on the Porch! Be sure to drop by her blog to see another fabulous re-do plus a list of this week's participants. You will be treated to some great before and after posts that will inspire you!! After last week's barely admissible metamorphosis, I decided I'd better call in a pro! 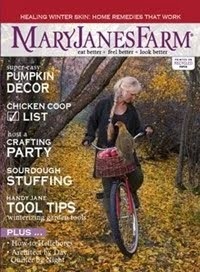 Our guest this week is my dear friend Kathysue whom many of you know from Rate My Space and MicasaStyle! 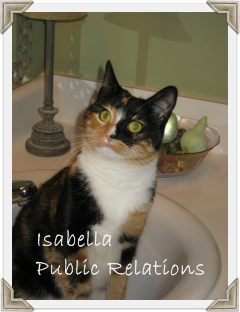 She is a very talented design consultant with a signature sense of style! Be sure to visit her spaces if you have not already done so...you are in for a real treat! This is her dining room/kitchen ...isn't it gorgeous? Ohhhh...you can already see you are in for something special, can't you??? Do you see the mirrored doors to the left? First, Kathysue will tell you about them... "I purchased the doors unpainted at Lowes. They came with the mirror. Originally I wanted French doors with lights and I was going to add the mirror, but at the time it was cost prohibitive. That will still remain in my someday file. I wanted the mirrors to make the space larger." Now...can you guess what is hidden behind very elegant door #1??? It's Kathysue's very large pantry! Are you jealous? I know I am! This is what she calls her shameful before. Are you kidding me?? lol This would be my pantry on a very good day after a lot of organizing!!! And here is her fabulous after!! 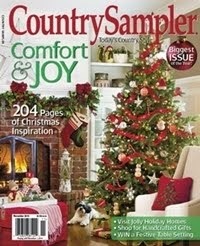 Kathysue says, "I did this on a budget and my rule was nothing purchased over $5.oo! Most of the glass containers were from Goodwill for $2.99 or less and the others were things I already had. I just looked in my cupboards for things with lids. I purchased the wooden boxes from Homegoods for $4.99 and the white cloth containers with lids for $1.99 on clearance at Lowes. They are made by Febreeze. I had purchased these for my clothes closet because they have a spot in the bottom to put a Febreeze scented page. I have more for my closet redo. I didn't use the scented page in the pantry, but I guess I could. I will have to rethink that one." Kathysue continues, "This shows my dishes and glasses that I change out in my glass front cupboard in the kitchen area when I change things for the seasons. I have transferware in blue, black and pink/red along with green leaf majolica plates." You know I am drooling over the stacks of plates!! Just look at her gorgeous stemware!! 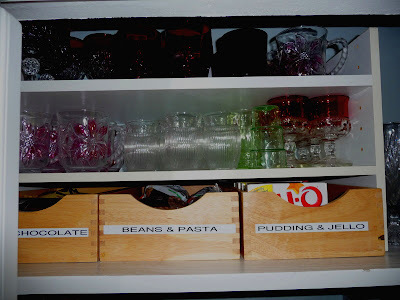 I love the way Kathysue has put everything in see-through containers or labeled them. I don't know about you, but I am eyeing that big glass canister with the cute chalkboard label! Notice how Kathysue uses bins which are all carefully labeled. She explains, " These are easy to remove and get out whatever I need. The kids' snack bin is for the grandbabies and they will have fun rummaging in it for their favorite snack. They are so cute! They all go to the pantry and say, Grammy, I am hungry. I want hmmmm? and then they pick it out with a big grin because Grammy hardly ever says NO." As a grandmother, I love that tip! Isn't that just the cutest idea?? And the last close-up is of Kathysue's wooden drawers, all carefully labeled as well. She is considering painting these one day. She says, "So that is it, my budget friendly pantry redo. In the future when the money tree starts to grow again, I will replace all the plastic with woven baskets and the plastic drawers that hold all my candles will be wooden drawers. A girl has to have her dreams!!" Are you amazed?? 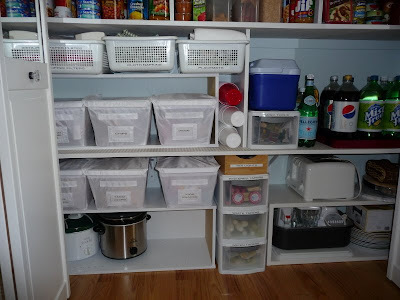 I don't know about you, but I am inspired to get in there and organize my pantry, too! And I think Kathysue needs to consider starting a blog of her own...don't you?? I wish to thank her for agreeing to be a guest on mine!! I am sure she has saved me from being kicked out of the Met Monday club! If you would like to see more of Kathysue's beautiful home, you can visit her spaces at MicasaStyle by clicking here or at Rate My Space by clicking here. 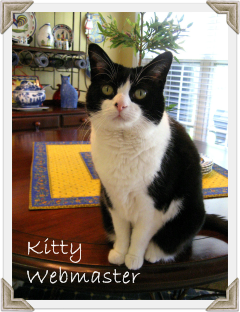 Once again, I also wish to thank our hostess Susan at Between Naps on the Porch and invite you to continue your tour of fabulous makeovers!! What beautiful spaces she has. Love that dining room too. Great way to incorporate those spaces. That is great! I love how neat and organized it is now! Beautiful room also! 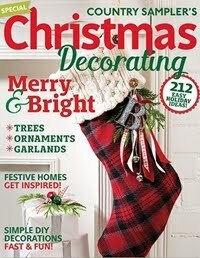 I am sooo glad I finally get to see this project which has causes so much chaos in your home. LOL I would say - well worth it. I do not know which I feel more...being impressed or being jealous. :D What a great before and after! This is a great makeover! Thank you for sharing with us. It is putting my poor pantry to shame! I love kathsue's space, it is so beautiful and as we see, completely functional as well! Pop over tomorrow... 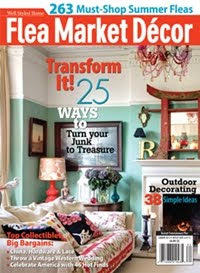 I'm joining in with my Delighting Others via Design reveal... it turned out to be a Valentines Day surprise! Great organization, beautiful room, wonderful inspiration! Oh wow! Genius idea and who wouldn't love a pantry that has it's own compartment for chocolate? I am going back to this for inspiration! I know I'm impressed! What a gift of organization your friend has. Try your best to talk her into starting a blog! I know we could all learn something from her. Ooh I love the pantry and the dinning room is beautiful! That's amazing, Debbie! She did a super job! Loved seeing this, and I feel like a slob! LOL! Isn't Kathysue amazing? The dining room is beautiful and that pantry couldn't be more organized and of course pretty too.Thanks for posting this Debbie and Kathysue,thanks for sharing, you continue to be an inspiration for me. How wonderful! Great storage ideas! I love the wooden boxes. I would have never dreamed the doors held this wonderful pantry! 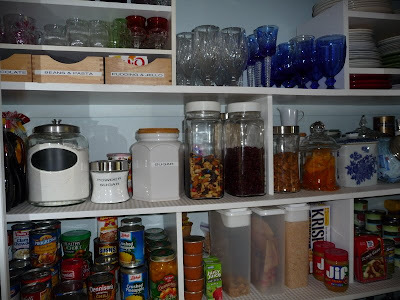 We are adding back the oringal walk in pantry, I love see all the containers! What great ideas! I wish I HAD a pantry! You could come organize my cabinets though. Ha! Oh and I work as staff at a Univ. ..so my 'budget' is SMALL. I am SHOCKED I came home with anything from the antique market at all! Usually the local 'junk' store is my 'score' stop! What a great make-over.I could do with some organizing myself. Hmmmmmmm when will I start..
First, the dining room is beautiful. I love the pantry and the transformation is remarkable. It looks so nice that I think I would keep the doors open. I love baskets for organizing. My daugter found lined wicker baskets at a surplus store for $1. Now I must check out Kathysue and RMS. The dining room is so beautiful. I am having pantry envy..
OH MY! That fantastic pantry really puts mine to shame! ...and to think that is hid behind beautiful doors in such an elegant room. She did an outstanding job with organizing all that! Thank you for sharing those pictures...I need to get to work! I LOVE my pantry! This is a LOVELY pantry too! Come visit when you have time! The prelude of the gorgeous dining room scarcely prepared me for this amazing pantry. I have been borderline OCD regarding organization, especially in the kitchen where I spend a good deal of time. Encroaching age and the ensuing decline in my energy level has virtually ended the OCD. I can continue to appreciate perfection when I see it, however. Thank you so much Kathysue for allowing us into your home and thank you Debbie for featuring this marvelous transformation. Organization, the continued goal for 2009! After living in my home for 26 years I've accumulated a few things. Although I don't have a pantry....I can still apply Kathysue's storage solutions to any room or closet in my home. I tackle a room/area at a time. Focusing on one goal keeps it from becoming overwhelming. 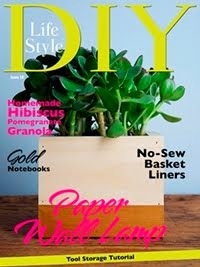 I'm a firm believer to have eye pleasing /functional containers to house items too. Thank you Miss Debbie and Kathysue for your inspiration. Hi Kathysue & Debbie! Debbie, nice to meet you, this is my first time by your blog. 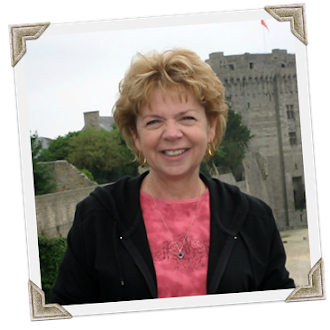 I met Kathysue on my blog & she has been great to leave me comments. What a great pantry space you have, K! that's wonderful & I love the idea of the mirrored doors. So sorry to hear Micasa is closing for all of you who were such regulars. I enjoyed it, but my blog takes ALL my time now. Debbie, hope you'll come by to see me sometime ! Wow what an awesome transformation! Febreeze scented page.. I didn't know there was such a thing. I will have to look for these. Now that's my idea of a pantry!! Wow and WOW! 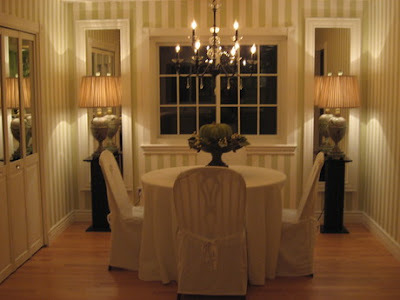 I am loving her dining room, the stripes on the wall and all of it and that pantry, send her over to do mine!! I could not get your blog to completely load earlier in the day, so I came back, glad I did! Love the room and as I am OCD, I love the pantry. My Florida home is small and doesn't have a large pantry space like this...jealous! fun, fun , fun, get to visit with you and kathysue at the same time.Loved it! 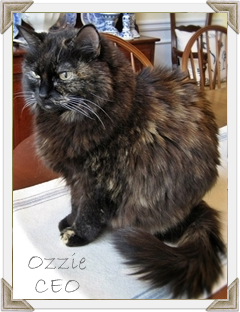 I want to invite you both to my blog today...I am trying to get to know everyone a bit more. Ohhh my...I'm runnin' so far behind! So sorry that I'm just now getting over to your place! 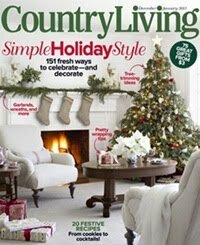 I was so surprised to see your post...as soon as I seen that pretty dining room, I just knew that Kathysue was visiting! 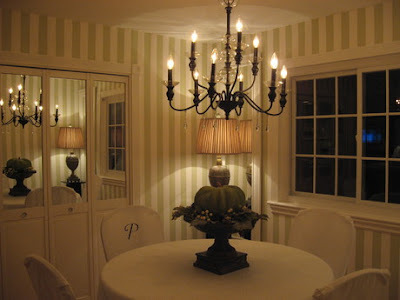 I just adore her pretty green & white dining room and kitchen! It's like a "breath of fresh air" to me! My, oh my...I had no idea that a pantry was hiding behind those gorgeous mirrored doors...hehe!!! Kathysue, you are so blessed to have such a spacious pantry...and Girl, you've organized it beautifully!!! I have to tell you though, you know how you see people going into other folks bathrooms and look through their medicine cabinets...for some reason I was feeling a bit like that...hehe!!! I found myself clicking on the photos to see the close-ups of everything you have in there...hehe! Well my friend, you did a marvelous job redoing your pretty pantry!!! 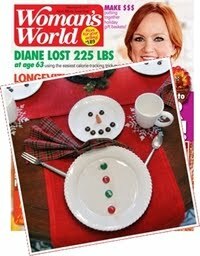 Debbie, thank you so much for showcasing Kathysue's dining room and pantry...that was a real treat, my friend!!! Hope both of you are having a terrific Tuesday! She definitely needs a blog! I don't see anything in that pantry that needs changing. I only wish mine looked half that good!